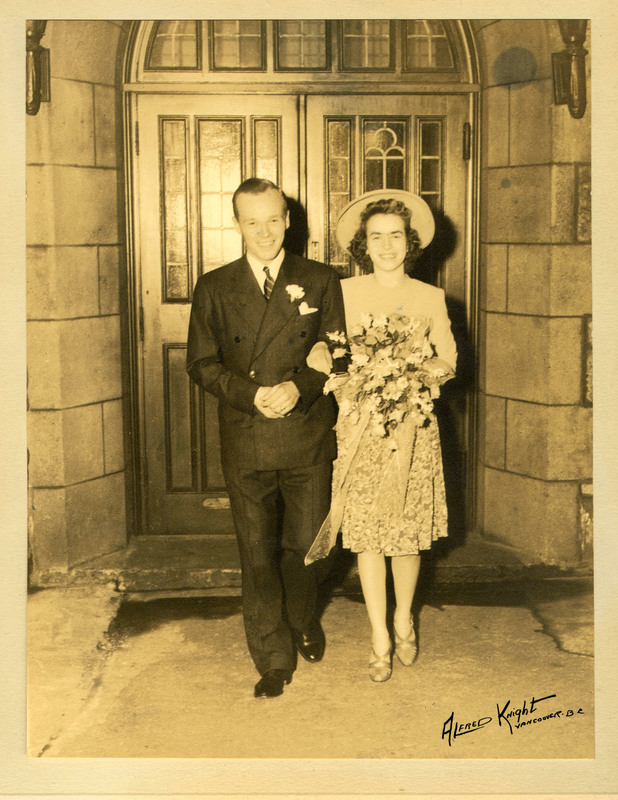 In June 1942, Anne and Ray got married. She was almost 20 and he was 22. The most popular songs of 1942 included The White Cliffs of Dover by Vera Lynn. They were married for almost 65 years, until death did them part in 2007. I cannot explain my own marriage, so I won’t attempt to describe theirs! They got married in the chapel of Christ Church Cathedral on Georgia Street in Vancouver, The chapel part is gone now, but the cathedral is still there. 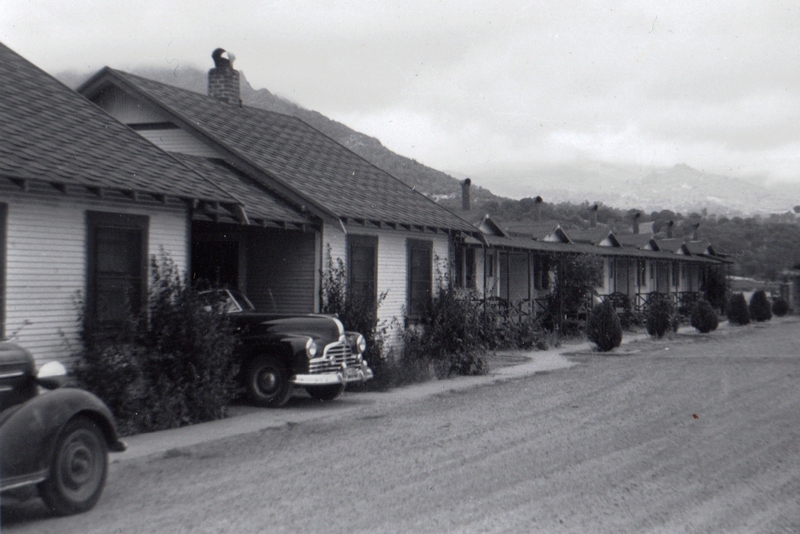 In 1943 they borrowed Ray’s father’s car and drove down the Washington and Oregon coasts to California. These photos are oddly reminiscent of our road trips in Australia – something about the motels, scenery and ephemerality of a car trip. My grandfather always had a good car – he was an insurance salesman and apparently made a decent living even through the Depression and war. People still wanted insurance during difficult times. Dad had even driven his father’s car to high school in the 1930’s. 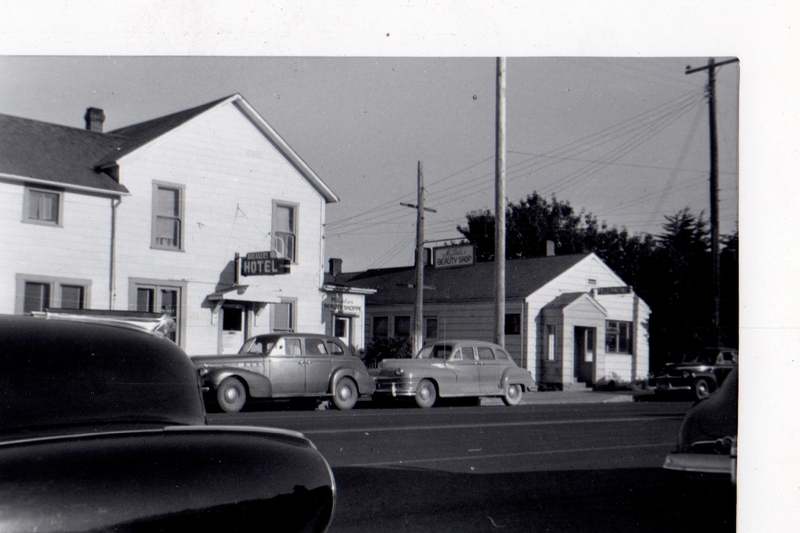 How do you like this fabulous view of a motel and a car with attitude? They must have stayed a night at the Breakers Hotel next to Miladies Beauty Shoppe, somewhere down the west coast. (These little 2″ by 3″ black and white photos scan really well. If you zoom in, you can read the signs on the buildings!) I googled but couldn’t find anything about the Breakers or Miladies. That’s their car looming in the left foreground. April 5, 2012 in Anne's Story, Family history. What great photos…and how nice the story is being recorded. I find that these short blog posts are much less overwhelming than the idea of documenting someone’s life more formally and comprehensively. Initially my mother was concerned that “blogging” would trivialize the stories in some way. But I convinced her that I could reach more people (i.e. her grandchildren) by this route, and maybe even enjoy myself in the process. I think blog-writing is now actually a perfectly valid literary form! Who did they visit in California?